After 15 years in the construction industry, Nancy Arlotta knew it had a major efficiency problem. Contractors struggled to find rentable equipment, compare prices, secure rentals, and track due dates. It’s a hassle to be on the phone all day trying to find a portable compressor, only to learn the one you wanted just got rented by somebody else. 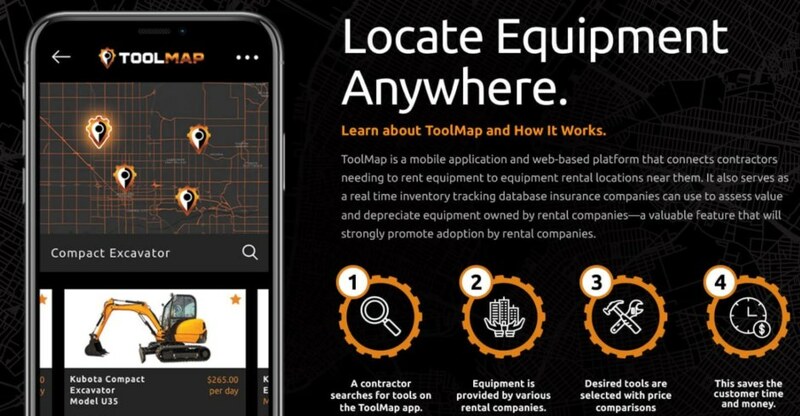 ToolMap was born: an easy-to-use app that simplifies the process for contractors and insurance companies alike. Renting equipment--and tracking its depreciation, for equipment owners--is now available at the touch of a button. But the ToolMap team hit major roadblocks. After starting R&D in August 2017, Nancy realized the concept was too broad and there was too much research to sift through. To advance the company and attract investors, ToolMap needed specific, recent industry research and laserlike product focus. It was time to bring in the professionals. “Everyone that has reviewed the finished ToolMap business plan is absolutely blown away by its depth and style,” Nancy raves. And the company is thriving, with $5 million in investment funding! Congrats, Nancy--we’re so happy to be part of your story.